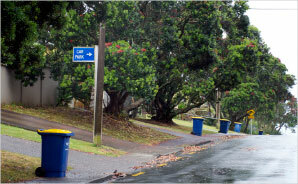 Part 6: How have councils considered resilience? Part 7: What did councils tell us about their long-term plan process? Matters arising from our audits of the 2018-28 long-term plans. This Appendix provides a summary of provincial councils' LTP financial forecasts. Provincial councils have populations between 20,000 and 90,000. The data presented below is based on our own analysis and represents averages of data across the councils in this sub-sector, unless otherwise stated. In this Appendix, we have combined and presented financial information prepared by the provincial councils. We do not have a view on the merits of these councils' financial forecasts, other than what we express in the main body of this report. In provincial councils' 2018-28 LTPs, the forecast operating revenue is 20% more than what was forecast for 2015-25. Operating revenue increases compared with the 2015-25 LTP forecasts range from 1% for Whanganui District Council to 66% for Queenstown-Lakes District Council. Provincial councils' rates revenue is forecast to increase 43% ($1.9 billion to $2.7 billion) across the 2018-28 LTPs. Eight provincial councils forecast 70% or more rates revenue as a proportion of total revenue. Operating expenditure forecast in the provincial councils' 2018-28 LTPs is 16% more than what was forecast for 2015-25. For seven provincial councils, the expenditure is forecast to increase by less than 10% from what was forecast in the 2015-25 LTPs. 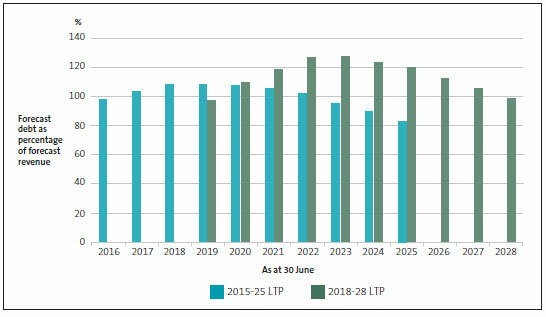 In the 2018-28 LTPs, operating expenditure for provincial councils is forecast to be more than forecast for each comparable year of the 2015-25 LTPs. Capital expenditure for provincial councils is forecast to increase by 32% for 2018-28 compared with the forecast for 2015-25. Three provincial councils' capital expenditure is forecast to be less compared with 2015-25. In contrast, Queenstown-Lakes District Council's capital expenditure is forecast to increase by 165%. Provincial councils' capital expenditure is forecast to be largest (at more than $1.4 billion each year) from 2018/19 to 2020/21. 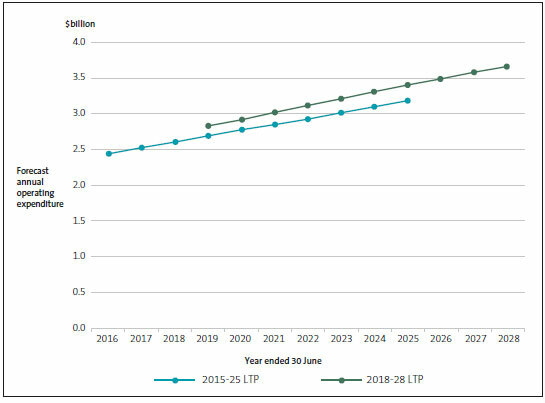 In the provincial councils' 2018-28 LTPs, debt is forecast to increase from $3.1 billion to $4.0 billion from 2018/19 to 2027/28. This is an increase of 30%. Twelve of the provincial councils' forecast debt in 2024/25 is more than $50 million higher than what was forecast in the 2015-25 LTPs. 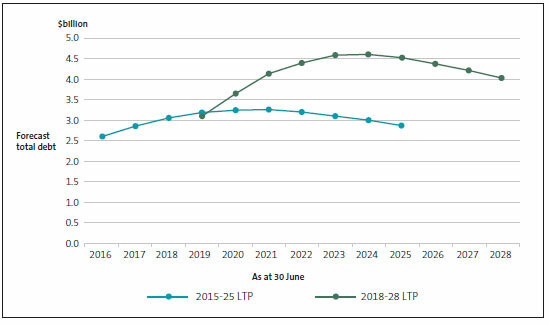 Except for 2018/19, provincial councils' debt burden is greater in the 2018-28 LTP forecasts than in the 2015-25 LTP forecasts, and debt as a percentage of revenue is forecast to peak in 2021/22 and 2022/23.